Business-Do is your personal handbook for achieving happiness by systematically turning your dreams into reality. 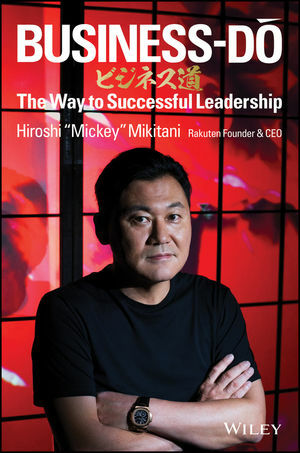 Success looks different to everyone, but author Hiroshi Mikitani exemplifies its essential, universal qualities: as the founder and CEO of Rakuten, Mikitani is a self-made entrepreneur who became Japan's leader in the new global economy—a journey that made him a billionaire. In this book, he shows you how to achieve your own version of success in work and in life. Paying homage to Japan's ethos of quality and discipline, this book shares 89 principles Mikitani has gathered over the course of his remarkable career. These thought-provoking, action-oriented rules show you everything from how useful your dreams are, to the best way to harness the internet, to what management techniques work to the importance of self-improvement. The result: your own powerful, personal playbook straight from the mind of an inspirational trailblazer. Mikitani guided Rakuten from its 1997 foundation to become one of the world's largest e-commerce platforms, with a still rapidly-expanding global footprint reaching industries including fintech, messaging, digital content, and even drones. This book describes the ideas, thoughts, actions, and philosophies that drove Mikitani to the top. Happiness is something you live every day. It is both the result and the critical ingredient of success, and there is plenty to go around. Business-Do gives you the principles you need on your own journey to success. Hiroshi Mikitani (Japan) is the co-founder and CEO of Rakuten. Rakuten is an electronic commerce and Internet company based in Tokyo. Its B2B2C e-commerce platform Rakuten Ichiba is the largest e-commerce site in Japan and among the world's largest by sales. He is known worldwide as a self-made billionaire and Japan’s leader in the networked economy.